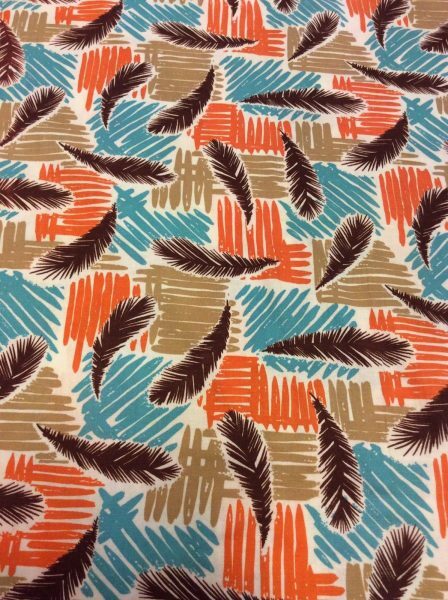 This is one of our Reproduced Fabrics of Original Vintage Prints By The Vintage pattern Shop. 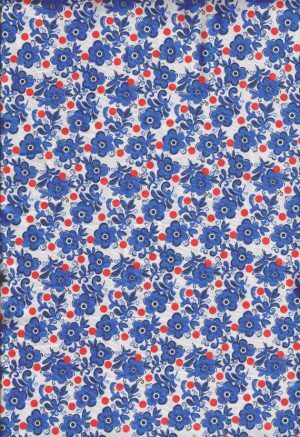 We aim for our reproduced vintage fabric collection to enhance and compliment any vintage sewing project. 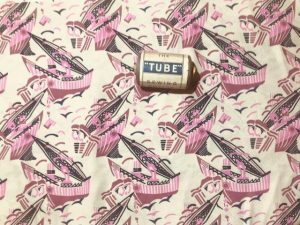 Fabric prints and designs are often typical of an era, and we will produce and supply an array of typically iconic vintage fabric prints to cover the period from the 1930s-to-the-1980s. Suitable for dresses, skirts and blouses etc. 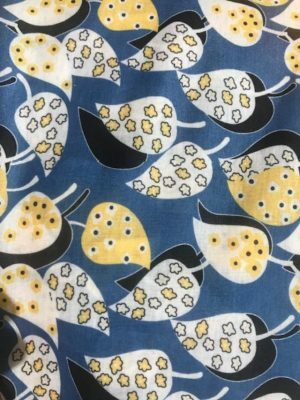 This viscose is a lovely soft stretch fabric with a beautiful drape and can be worn by children and adults alike. This fabric has a silk like quality to the touch. Viscose is a man-made fabric that is light to medium weight. Viscose is a type of rayon. Originally known as artificial silk, in the late 19th century, the term “rayon” came into effect in 1924. The name “viscose” derived from the way this fibre is manufactured; a viscous organic liquid used to make both rayon and cellophane. What this means in English? Viscose is the generalised term for a regenerated manufactured fibre, made from cellulose, obtained by the viscose process. Viscose is a type of rayon. Originally known as artificial silk, in the late 19th century, the term “rayon” came into effect in 1924. The name “viscose” derived from the way this fibre is manufactured; a viscous organic liquid used to make both rayon and cellophane. What this means in English? Viscose is the generalised term for a regenerated manufactured fibre, made from cellulose, obtained by the viscose process. We recommend a 30 degree wash. You can wash on a warm or cold cycle. And tumble dry low. Press your fabric using a very low to medium heat. All fabrics are priced per meter length and there is a choice on the drop down menu to include 0.5 meters within your order. 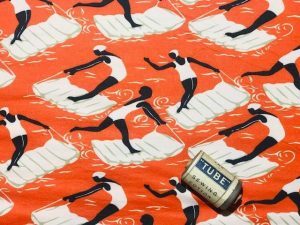 The fabric is cut directly from the bolt roll, therefore you will receive a whole continuous piece. 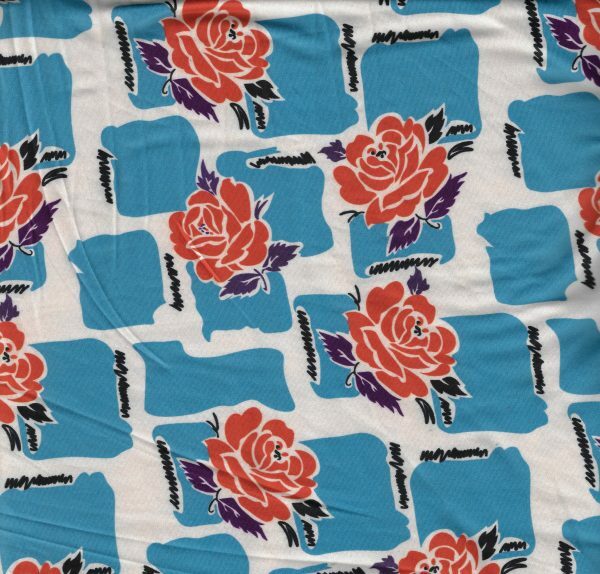 All fabrics will be supplied in continuous lengths for each printed design. We have taken images which represent the colour as closely as possible, however the appearance of colours will always vary slightly from one computer screen to another and to the actual fabric. 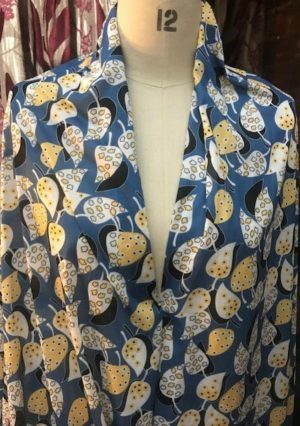 Please note that we have tried to make these images as close as possible to the actual fabrics, however there will be a slight variation from the picture to the actual fabric. We recommend the ordering of swatches prior to placing your order.